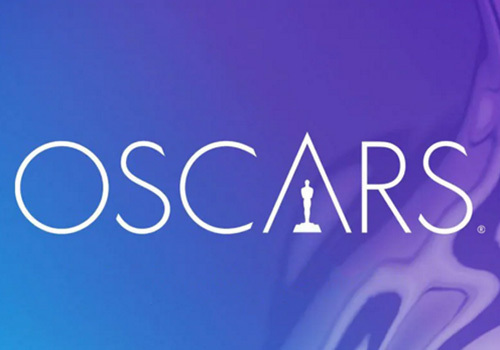 The nominations for the 2019 Academy Awards have been released this morning, and you can see the full list below along with our picks to win. Who would have thought a year ago that BLACK PANTHER would be up for an Academy Award?! We are again seeing several people of color and foreign personalities being represented in many categories, particularly Best Picture, Best Supporting Actor, Best Supporting Actress, Best Director, and Best Adapted Screenplay! This is a continuing result of 2016’s #OscarsSoWhite controversy, and perhaps 2017’s Best Picture win for MOONLIGHT opened a few eyes as well, though in my opinion it has more to do with the much improved film selections in the past few years than anything else. There are some historic nominations this year, it’s good to see these categories showing more diversity without feeling forced, these folks earned these accolades! Hollywood also seems to be once again embracing Alfonso Cuarón this year, as his movie ROMA is nominated for 10 awards, including Best Picture, and he’s nominated for Best Director, plus there are noms for the film in Best Actress, Best Supporting Actress, Best Production Design and many more. Some great choices this time around, who would you pick to win? Noticeable omissions in the Best Picture category include CAN YOU EVER FORGIVE ME? and IF BEALE STREET CAN TALK. Will GREEN BOOK sweep? Maybe VICE or ROMA? Will Bradley Cooper finally get his well-deserved Best Actor Oscar?? ABC will broadcast the show live on Sunday, February 24, 2019. Green Book – Jim Burke, Charles B. Wessler, Brian Hayes Currie, Peter Farrelly, Nick Vallelonga – our pick to WIN! Christian Bale – Vice – our pick to WIN! Glenn Close – The Wife – our pick to WIN! Mahershala Ali – Green Book – our pick to WIN! Regina King – If Beale Street Could Talk – our pick to WIN! Alfonso Cuarón – Roma – our pick to WIN! Green Book – Nick Vallelonga, Brian Hayes Currie, Peter Farrelly – our pick to WIN! If Beale Street Could Talk – Barry Jenkins – our pick to WIN! Roma – Alfonso Cuarón – our pick to WIN! Vice – Hank Corwin – our pick to WIN! The Favourite – Fiona Crombie, Alice Felton – our pick to WIN! The Favourite – Sandy Powell – our pick to WIN! Vice – Greg Cannom, Kate Biscoe, Patricia DeHaney – our pick to WIN! Isle of Dogs – Alexandre Desplat – our pick to WIN! A Star Is Born – Lady Gaga, Mark Ronson, Anthony Rossomando, Andrew Wyatt – “Shallow” – our pick to WIN! A Star Is Born – Tom Ozanich, Dean A. Zupancic, Jason Ruder, Steven Morrow – our pick to WIN! First Man – Ai-Ling Lee, Mildred Iatrou – our pick to WIN! Avengers: Infinity War – Dan DeLeeuw, Kelly Port, Russell Earl, Daniel Sudick – our pick to WIN! Free Solo – Elizabeth Chai Vasarhelyi, Jimmy Chin, Evan Hayes, Shannon Dill – our pick to WIN! A Night at the Garden – Marshall Curry – our pick to WIN! Spider-Man: Into the Spider-Verse – Bob Persichetti, Peter Ramsey, Rodney Rothman, Phil Lord, Christopher Miller – our pick to WIN! Bao – Domee Shi, Becky Neiman – our pick to WIN! Mother – Madre (original title) – Rodrigo Sorogoyen, María del Puy Alvarado – our pick to WIN! Roma – our pick to WIN!